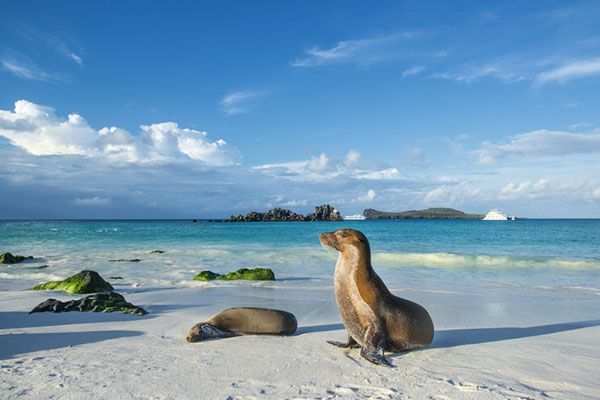 The archipelago known as the Galápagos Islands is part of the country of Ecuador on the South American continent. These mystical islands are located in the Pacific Ocean approximately 600 miles (965 kms) west off the coast. The 19 islands straddle the equator to the north and south. They violently emerged from the bottom of the sea during volcanic eruptions between three and 5 million years ago. What are the Galápagos Islands Famous for? Since this relatively new land began with nothing but volcanic rock, every plant and animal species which migrated there (birds flying with plant life, iguanas and turtles floating on logs, etc.) had to learn to adapt to the harsh environment—lacking in flora and fauna, initially. No place on earth can you see such rare adaptations for survival. So much so that English naturalist and biologist, Charles Darwin, studied his theories of evolution on these islands, calling them a “living laboratory” after his visit in 1835. To this day his contributions to science, biology, nature, and ecology continue at the Charles Darwin Research Station, which is an active breeding center operated by the Charles Darwin Foundation. 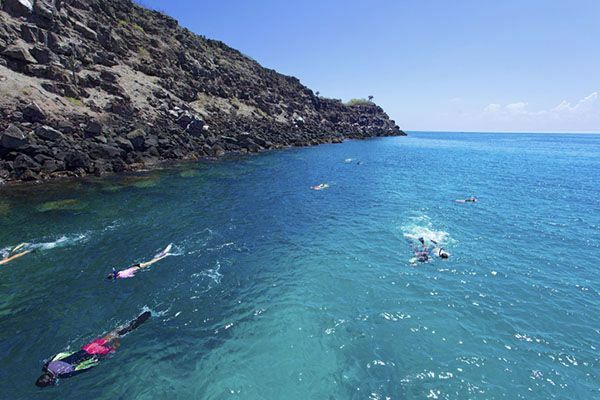 No visit to Santa Cruz Island would be complete without a visit to it. 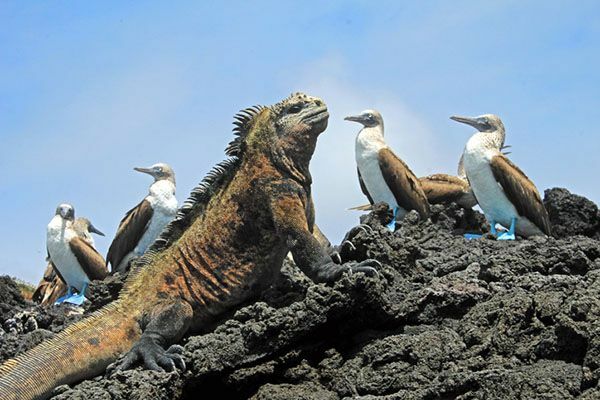 What Types of Animals Live on the Galápagos Islands? Thanks to a lack of natural predators, wildlife in the Galápagos has no fear of humans, making the islands one of the world’s greatest wonders and a magical naturalist destination to visit. Many of the animals you will see here do not exist anywhere else in the world. A short list includes: the Galápagos fur seal, the Galápagos sea lion, eastern red bats, bottlenose dolphins, beaked whales, Galápagos tortoises, Green sea turtles, pink land iguanas, marine iguanas, flamingoes, blue-footed boobys, Darwin’s flinches, flightless cormorant, Galápagos doves, hawks, penguins, frigate birds, ospreys, and more. What Airlines Fly to the Galápagos Islands? To reach the islands you take an international flight either to Quito, the capital of Ecuador, or to Guayaquil, both on the mainland. Since you are traveling that far, it is suggested you spend at least a few days on the mainland. Ecuador is a great country to explore and is welcoming to tourists. Old Town Quito is quite charming with its hilly terrain, colonial architecture, and cobblestone streets. Plus, just north of the city you can stand on the equator and snap that quintessential tourist shot straddling the north-south line with one foot in each hemisphere. 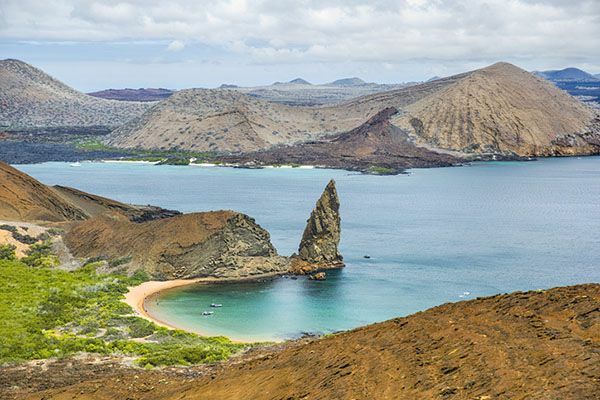 Both Quito and Guayaquil have daily flights departing to the Galápagos Islands. The flight takes two hours from Quito (typically with a quick stop over in Guayaquil). There are two major airports in the Galápagos: Seymour Airport (located on Baltra Island) and San Cristóbal Airport (located on the island of the same name). Since there is typically a weight restriction of 44 lbs. or 20 kg for flights to the Galápagos, be sure to bring only what you need to the islands. It is a very casual and natural destination, so you don’t need anything fancy. 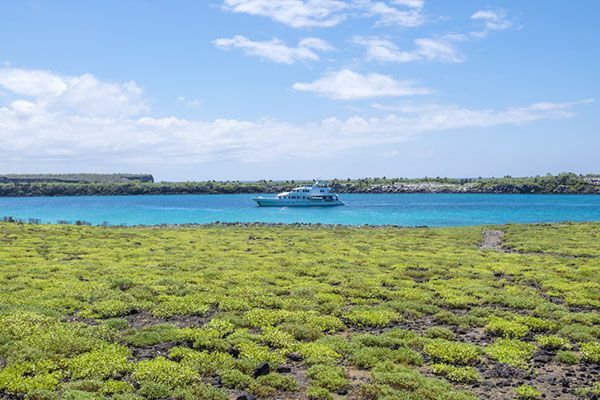 Are there Cruises to the Galápagos Islands? 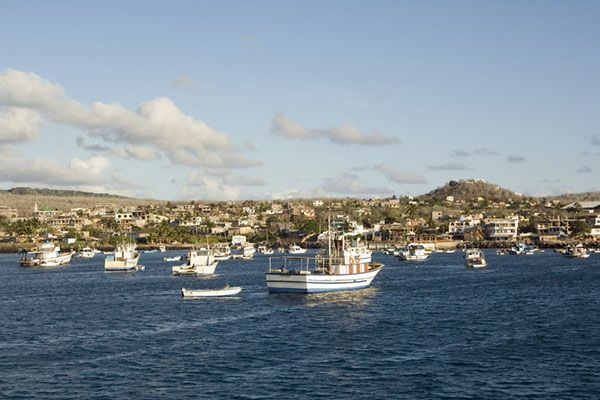 Most visitors to the Galápagos choose to take a cruise around the islands. It is important to double-check from which port your Galápagos cruise is departing, in order to choose the correct arrival airport. Cruises vary from four to 15 days, but eight days is typically recommended to see a full spectrum of everything the islands have to offer. There are certain species you can only witness on one or two islands but not the others. Cruise prices vary widely based on length, type of boat (averaging somewhere from eight to 60 passengers—not massive cruise ships) and level of service and food. 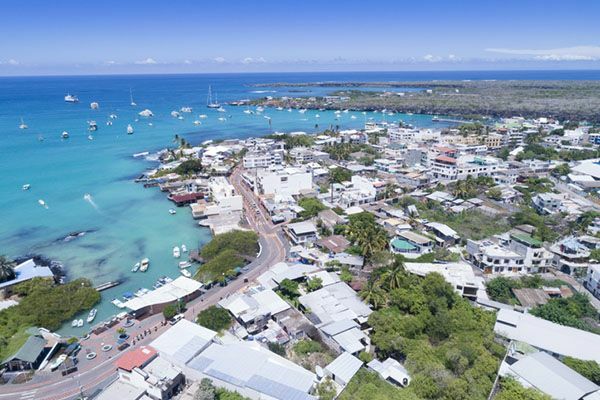 Pricing for an eight-day seven-night cruise will typically run from $3,600 to $4.200 per person for a mid-range boat (including all meals, all excursions, a bilingual naturalist guide, snorkeling equipment, and kayaks). A four-day three-night cruise typically varies from $1,570 to $3,800. If you are flexible with your time and not visiting during high season, you can find discounted cruises as much as 50% or more just days before sailing, if some cabins remain unsold. Five of the islands are inhabited—San Cristóbal, Santa Cruz, Floreana and Isabela, and Baltra. On these islands, you can find basic to luxury hotels and rental apartments on Airbnb or VRBO. If you are looking for a discounted cruise, book a few nights on the ground and then check at the tour desks or at the boat docks in Puerto Ayora, Santa Cruz or Puerto Baquerizo Moreno, San Cristóbal. Hotels and hostel rates are typically between $40 to $315 per night, based on double occupancy. Many include breakfast. Even if you don’t take a cruise, there are several day-trip boats which can take you to various islands. What Currency is Used in the Galápagos Islands? Everything on the islands has to be imported by air or sea from the mainland, so prices will reflect that. The official currency of Ecuador is the U.S. Dollar and their power plugs and sockets are the same as North and Central America at 120 volts. Do you need Vaccinations or a Visa Before You Travel to the Galápagos? From most countries (including North America, South America, Europe, Asia, and Australia) you do not need to obtain a visa prior to entering Ecuador. You will receive it upon entry. 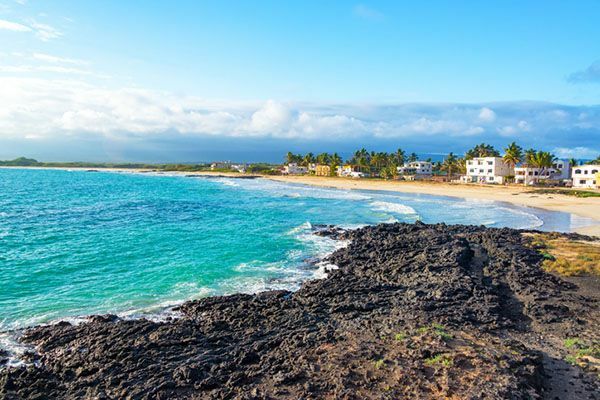 All you need is proof of a round trip ticket (return within 90 days), a reservation (or a letter from a Galápagos resident that you are their guest) and a passport with six months’ validity. If you are only visiting the Galápagos Islands and Quito, you are not required to have any vaccinations. If, however, you intend to visit the Amazon or coastal regions, it is recommended to check with your travel clinic or healthcare professional. They may suggest typhoid, hepatitis A, diphtheria, and yellow fever. Plan ahead of time since some vaccinations need to be given several months prior to your trip. If you enjoy exotic travel, it is always a good idea to be updated on your travel vaccinations anyway. 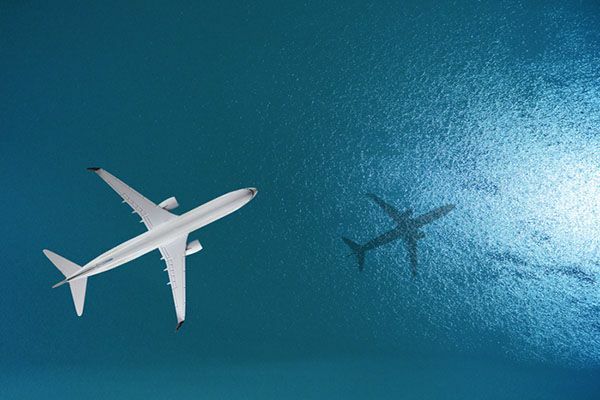 It is advised to purchase a travel insurance policy that includes trip cancelations, baggage, medical protection, and medivac, just in case you run into any unforeseen travel issues or accidents. Medical facilities on the islands are limited, so you will need to be evacuated to the mainland for major medical emergencies. It is suggested you buy purified water and not drink directly from the tap. 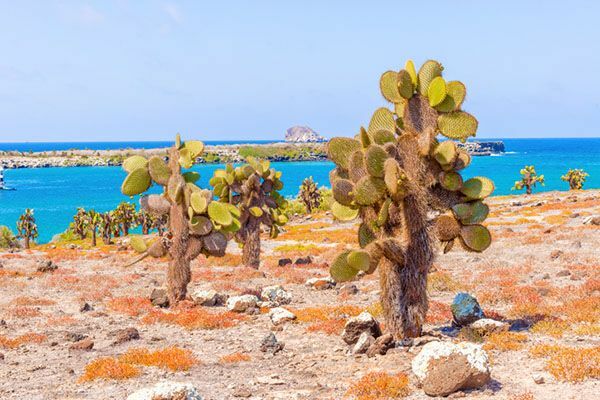 What is the Best Time of Year to go to the Galápagos Islands? The islands have two seasons: cool and dry (June to November) and warm and wet (December to May) with warmer season being the better time to visit for calmer seas and clearer under water visibility. Showers during wet season tend to be brief, so that is not a huge factor. Temperatures remain fairly moderate throughout the year, ranging from 69 F to 84°F. Unlike most other wildlife destinations, the animals in the Galápagos can be seen all year—they are not migratory. Therefore, there is never a “bad” time to visit. However, if there is something specific you wish to see (like sea turtles laying their eggs or tortoises hatching), be sure to check the typical annual schedule for specific behaviors. Are the Galápagos Islands Safe for Tourists? Travel to the Galápagos Islands is considered very safe for tourists. No countries have issued any warnings except exercising the same caution you would anywhere at home. Petty crime happens on the mainland, but is rare on the islands. You should be more aware of risks not associated with crime. For example, the sun is extremely strong at the equator all year, even on cloudy days. You should wear sunscreen and sun protective clothing, especially on the decks of the boat or when hiking on the islands. Although the animals have no fear of humans, one must be respectful to them and be aware of sharks and male sea lions. Listen to your guides and never touch or antagonize the wildlife. Water safety should always be top of mind for swimming, snorkeling, and diving. It is also good to stay hydrated and avoid too much alcohol consumption. The islands don’t have mosquitoes or biting insects. What is the Ecosystem of the Galápagos Islands? The Galápagos Islands are a protected national park and a UNESCO World Heritage Site. There are threats to the delicate ecosystem and species there from tourism, overfishing, climate change, and typical phenomenon that impact the entire world. However, the government, conservationists, and residents are vigilant about keeping a small footprint on the environment there. Do not bring any live material to the islands, or from island to island. Maintain a safe distance from wildlife and never feed them, as this can cause health problems. Stay within the permitted areas and only visit the islands with a licensed National Park guide. Do not leave trash anywhere on the islands or throw any off your boat. Do not vandalize or deface rocks. If you are ready for a once-in-a-lifetime journey to a mystical world before humans existed, the Galápagos Islands will not disappoint.